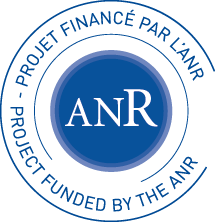 TurboTouch is a project funded by The French National Research Agency (ANR) under the number ANR-14-CE24-0009. The project started in October 2014 for an initial duration of 4 years, extended to 5. After years of pressing and moving mechanical parts, a lot of our interactions with computing systems are now touch-based. Many smartphones and tablets have a touch-screen. Touchpads long found on laptop computers are now also available as separate devices for desktop use. Smaller ones are being integrated to other input devices, such as game controllers. And even smaller optical finger navigation (OFN) sensors are making their way into remote controls, GPS devices, digital cameras or media players. Touch is said to be direct when using a touch-screen and indirect when using a touchpad or an OFN sensor. In both cases, users can typically select on-screen objects and manipulate them in different ways: move them, rotate and resize them, scroll them, draw on them, etc. The term transfer function is used by the Human-Computer Interaction (HCI) community to refer to the algorithmic transformation of raw user input (here, finger movements) for system use. The general goal of this transformation is to support stable and appropriate control. But little is actually known about existing touch transfer functions. Direct touch systems presumably use a one-to-one geometric mapping between finger movements and on-screen ones, to keep manipulated objects under the fingers that touched them. But recent research showed they use a non-linear transfer function for a better speed-accuracy trade-off when scrolling. Indirect touch systems generally provide one or more on-screen pointer(s) and a way (e.g. a button) to indicate whether finger movements are meant for controlling the pointer(s) or manipulating the underlying object(s). One-to-one mappings are not practicable and thus presumably avoided because of the important differences in size between the input surface and the screen. Popular graphical interfaces have indeed been shown to use non-linear transfer functions when controlling the pointer with a touchpad. Latency (or lag) has long been known as a determinant of human performance in interactive systems but only recently received attention in the context of touch interactions. Using a custom low-latency direct touch system, for example, researchers showed that end-to-end latency significantly degrades performance above 10 ms, a value well below what current systems achieve. Transfer function design and latency are two problems requiring cross examination to improve human performance with touch systems. Latency is of course less noticeable in indirect touch systems than in direct ones, where it results in a spatial gap between fingers and on-screen feedback. But it deserves careful attention in both cases as it can be a confounding factor when evaluating the effectiveness of transfer functions. Transfer functions also deserve attention when attempting to tackle the latency problem as they could take it into account and try to compensate for it.